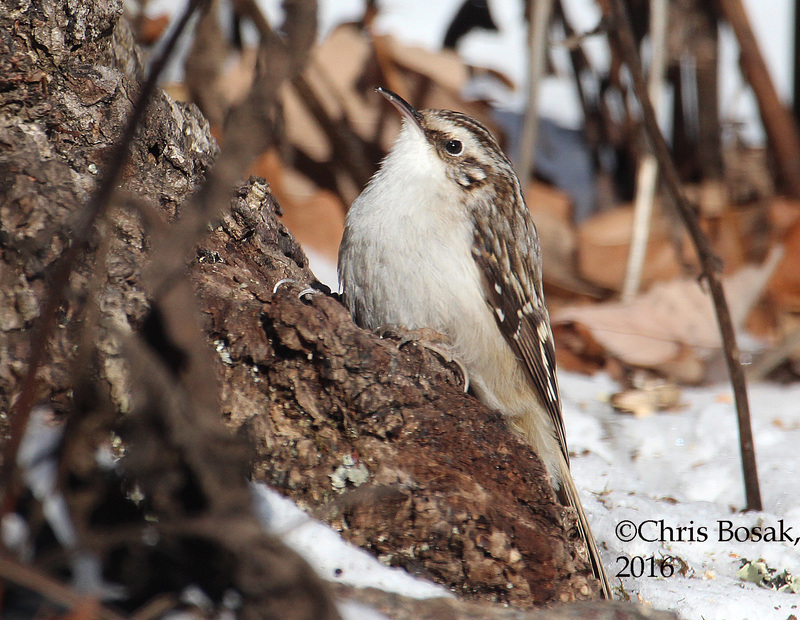 Here are some more shots of the Brown Creeper that visited my yard during the cold snap experienced in New England over the weekend. With temperatures at or even below zero for much of the weekend, it wasn’t easy snapping photos of birds in the yard, but the thrill of seeing these energetic, albeit rather nondescript, birds made me forget about the cold for the time being. 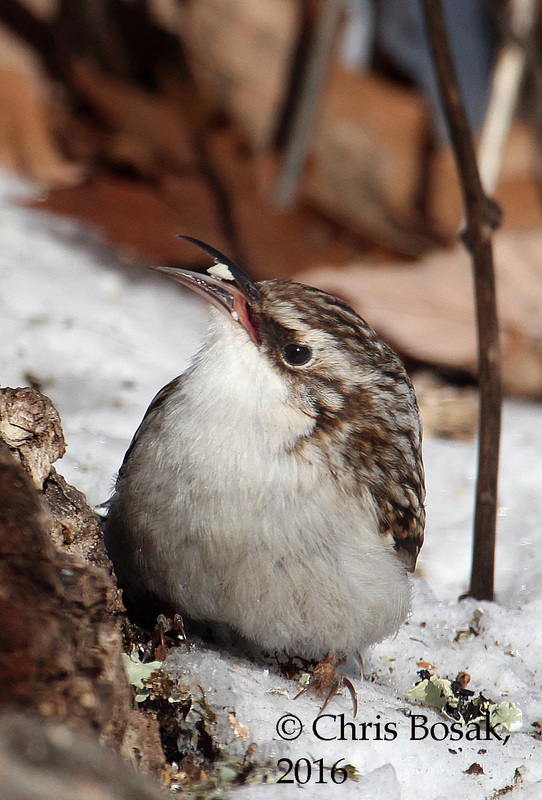 Brown Creepers may not be much to look at with their small size and white and brown coloring, they are a thrill to see nonetheless. 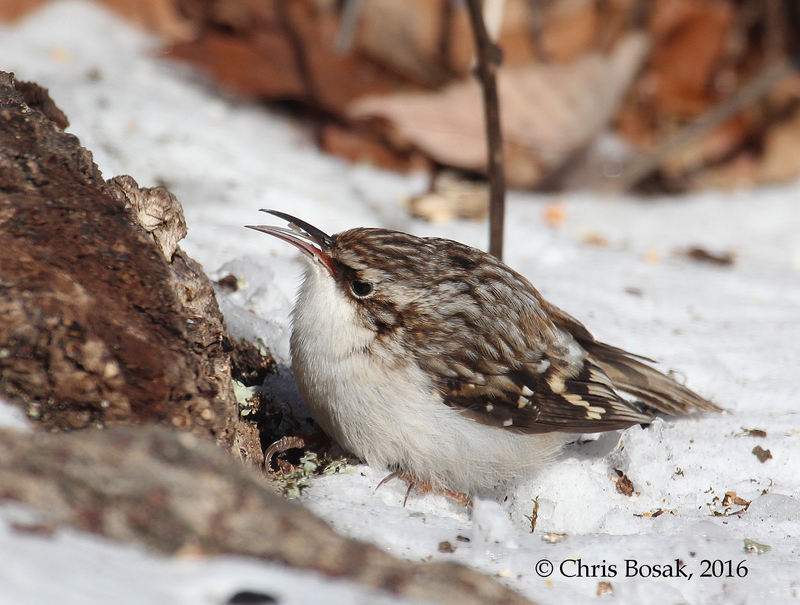 They are rather common in New England, but it’s not a bird you see every day, or in great numbers. A few fall sightings, a few winter sightings, and a few spring sightings are typical for a New England birder. This bird (actually there were at least two) paid frequent visits to the base of a tree on which I have a suet feeder. The creepers looked for the tiny scraps that fell from the suet feeder. All in all, a good Great Backyard Bird Count weekend. Up next are more photos of that Yellow-bellied Sapsucker that hung around the yard all weekend. On a final note, I also submitted the above photo for the Great Backyard Bird Count photo gallery. Click here to see it and “like” it if you want. Thanks. Click here to see the photo. 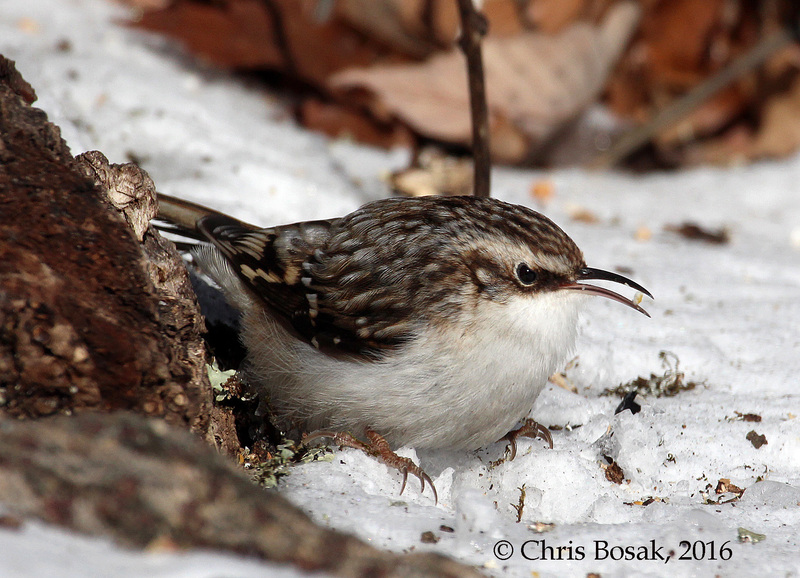 This entry was posted in backyard birding, bird feeding, Birds in snow, Great Backyard Bird Count and tagged Brown Creeper, Brown Creeper eating, Brown Creeper photo, GBBC by Chris Bosak. Bookmark the permalink. Fabulous photos!!! Thanks so much for sharing!